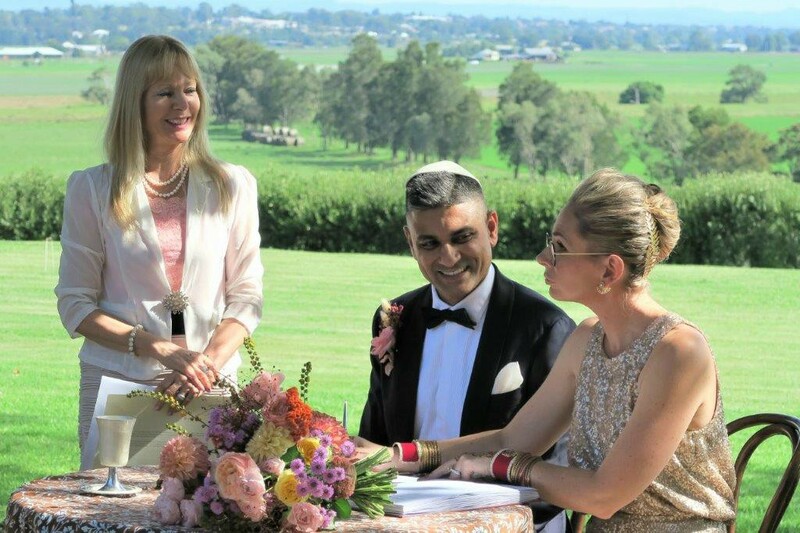 Marriage Celebrant Wedding Venue – at the celebrant’s magnificent place. Any day or time. Inc: All legal work. 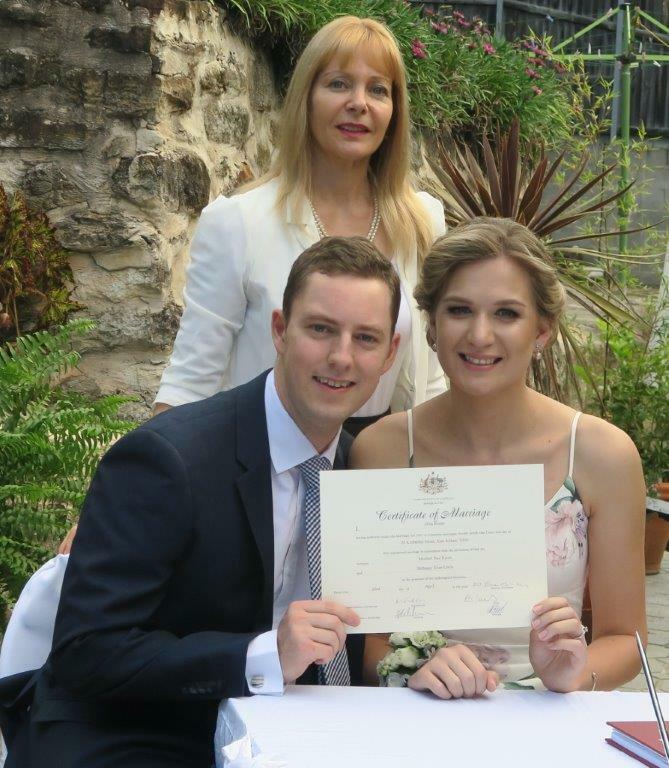 Affordable Weddings with a Budget Celebrant – Scroll down for some photos! Cheaper than at the BDM registry office. 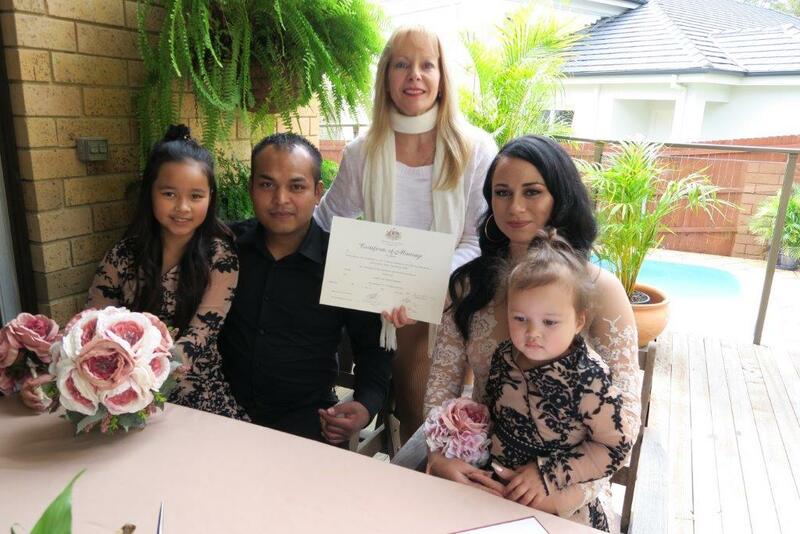 Book cheap marriage celebrant in Sydney – receive full service. Budget wedding venue in Sydney. All legal work is covered (no worries for you). 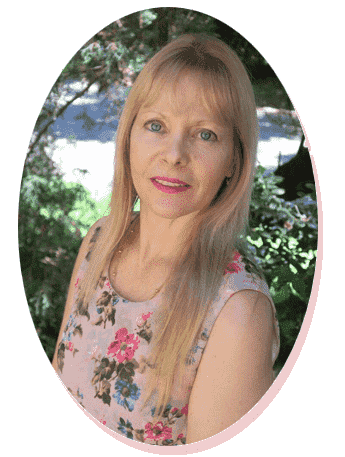 Can easily help with Immigration / Fiance visa. 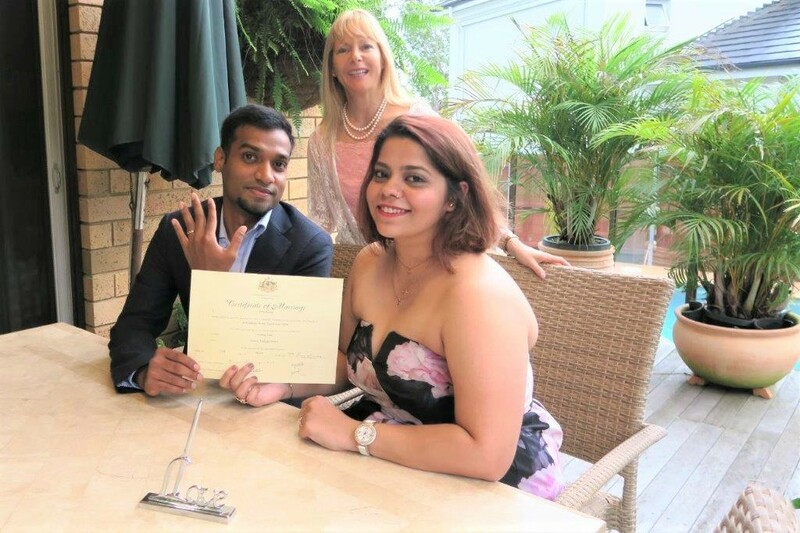 Get married in only 15 minutes-quick & simple. 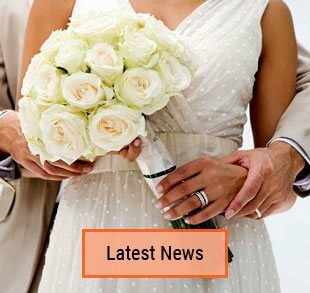 Same day registration of your marriage online. 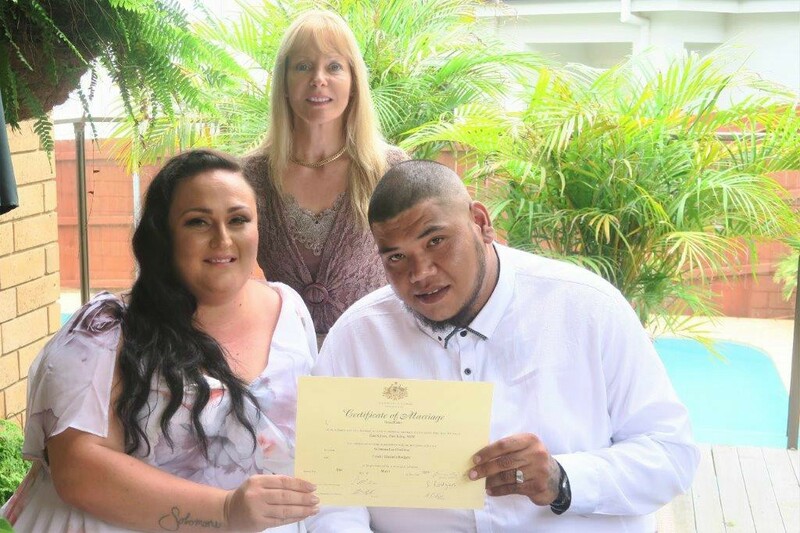 Registry, budget, elope – still beautiful ceremonies. A wedding at my place, only 14km north-west of CBD. No meetings required, or only 1 meeting. Your choice. Your choice of a registry style wedding or a full on one. Everything can be arranged via emails and on the phone. Furthermore, no need to pay council fees for the use of parks or beaches. 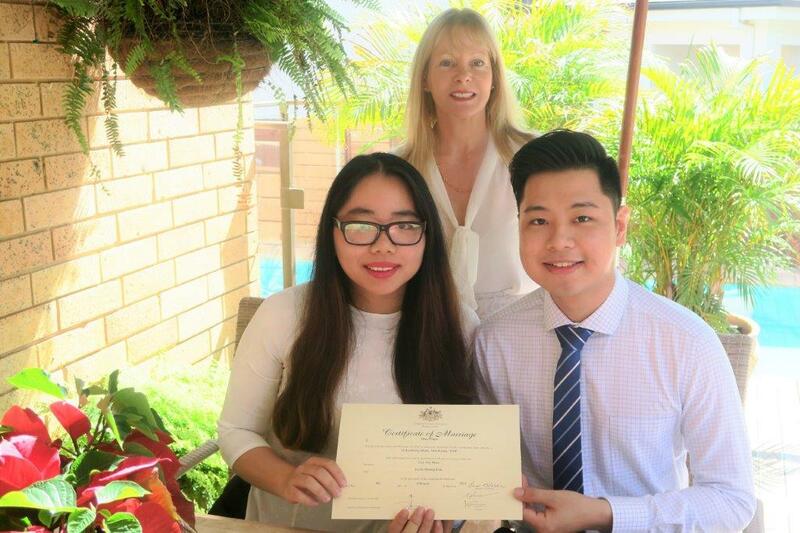 I will take care of your marriage registration as well as arrange marriage certificates. 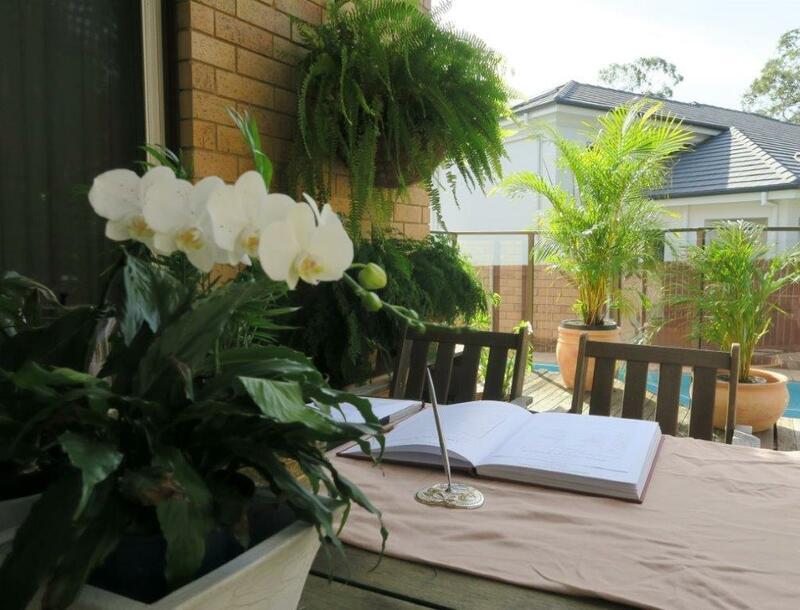 Most of all, fees are lower than at the BDM registry NSW, with an added personal touch. Only yourselves, 2 witnesses & the necessary documents. 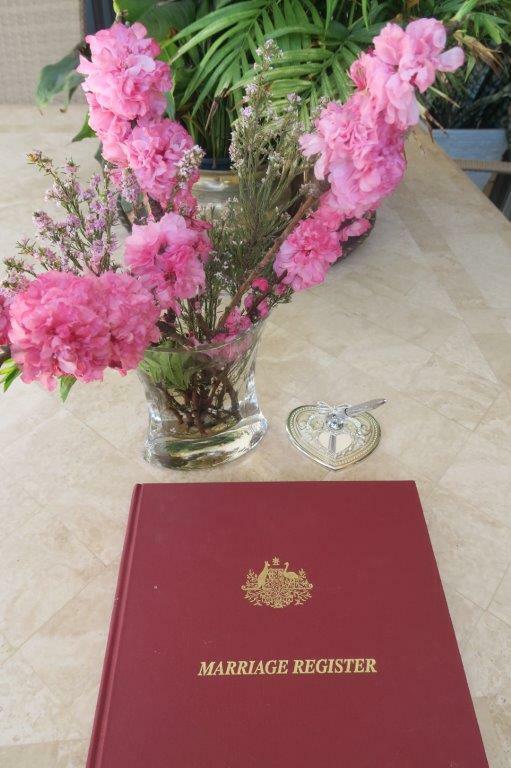 In conclusion – A quick & easy Registry Style Wedding – Including NOIM, Ceremony, Registration. No prior meeting required (or only one meeting- your choice). 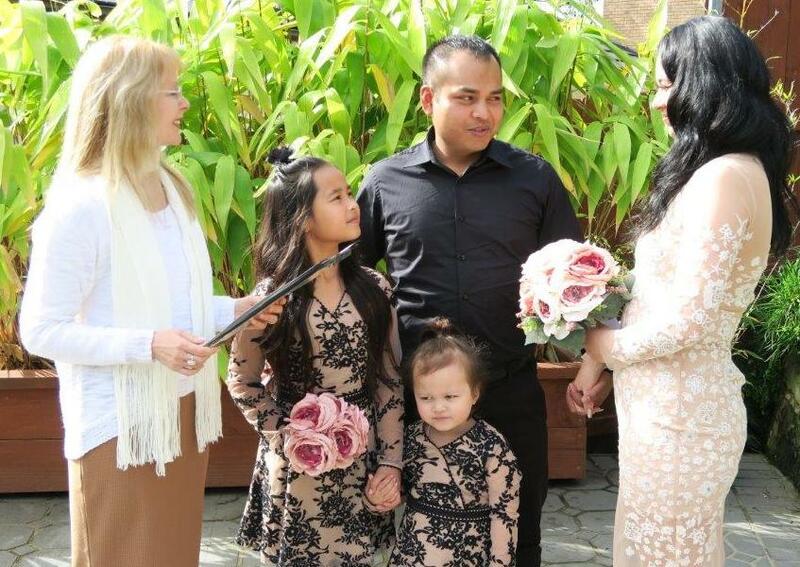 Affordable wedding ceremony – no hassle. 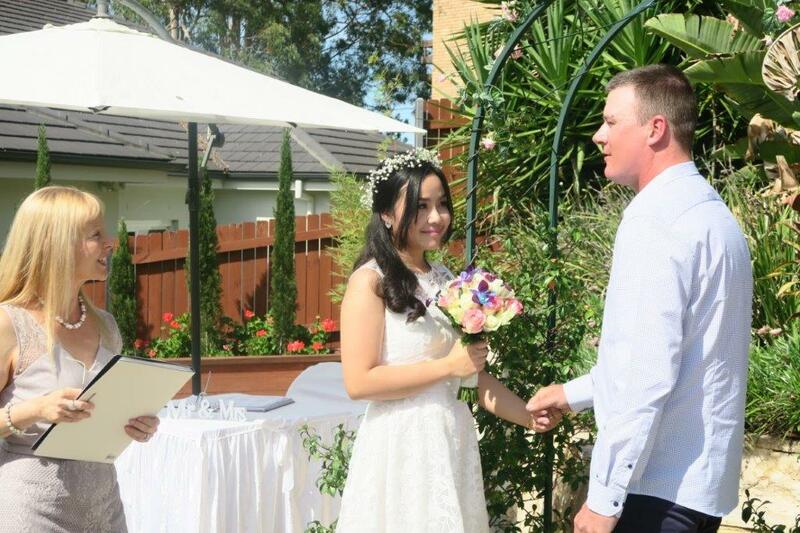 Book cheap wedding venue in Sydney – cheaper than the BDM. 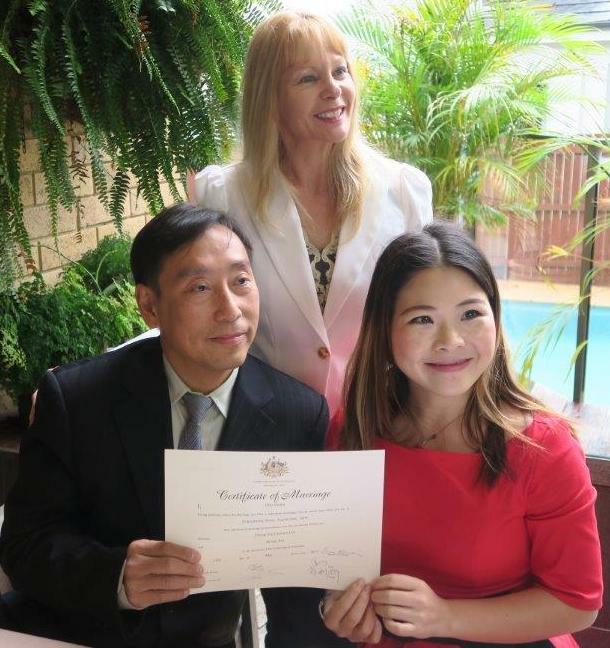 Can easily help you with Immigration / Fiance visa. No need to pay council fees for the use of parks or beaches. Ceremonies at my house only 14 Km north-west from CBD. A big beautiful backyard garden or a huge indoor area – your choice. 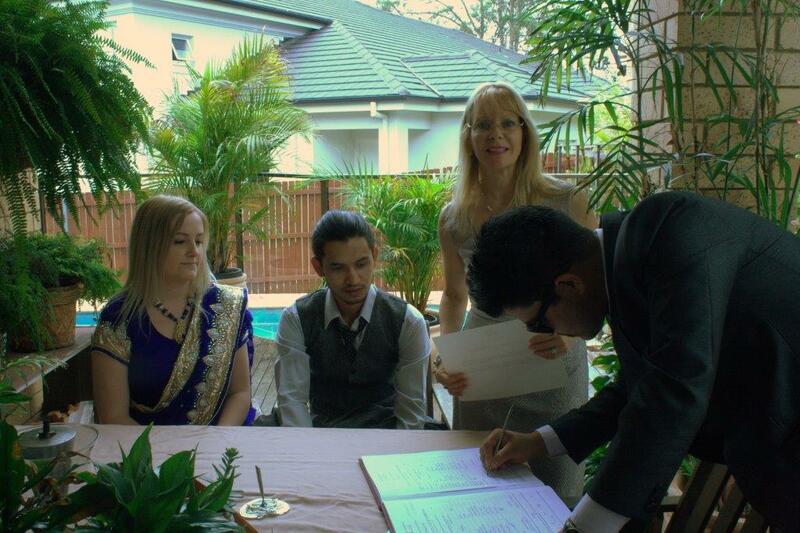 So have your wedding ceremony at my place, no extra fees for up to 15 people. 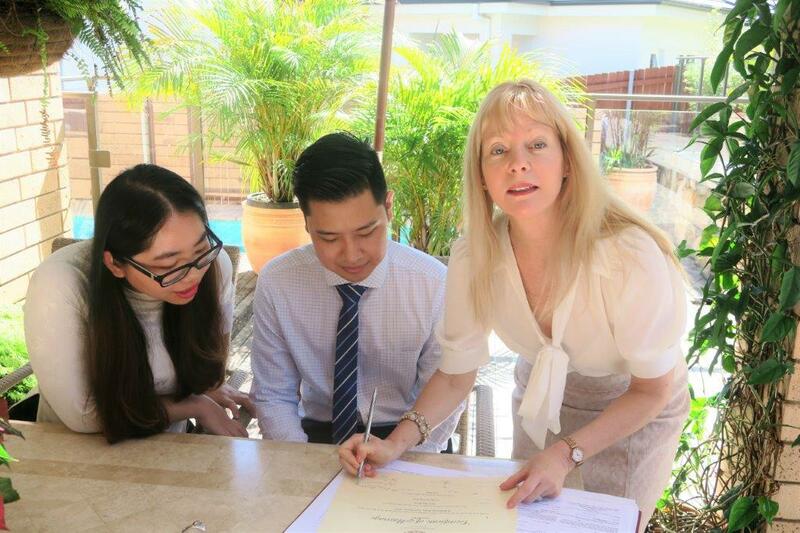 In conclusion, Fees are lower than at the BDM registry NSW, with an added personal touch. 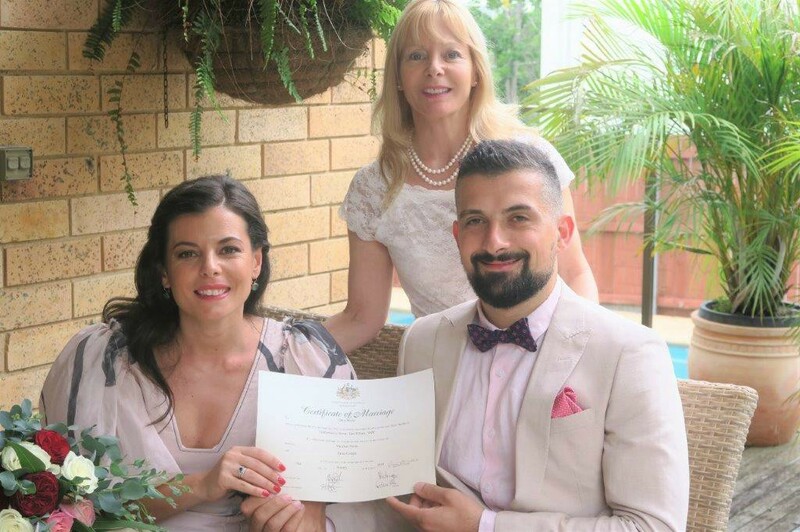 Now you can have a relaxed weekday wedding ceremony with an affordable midweek wedding celebrant. So as you probably already know having your wedding ceremony on a budget during the week is much more affordable. Especially if you take into consideration, the venue, photographers, the reception and what not. 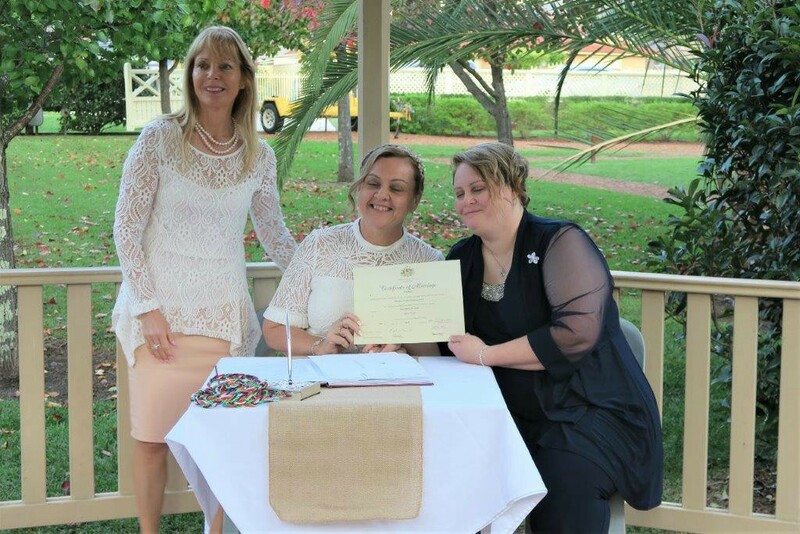 All that while having an experienced celebrant, Monday – Thursday, same service as on weekends. 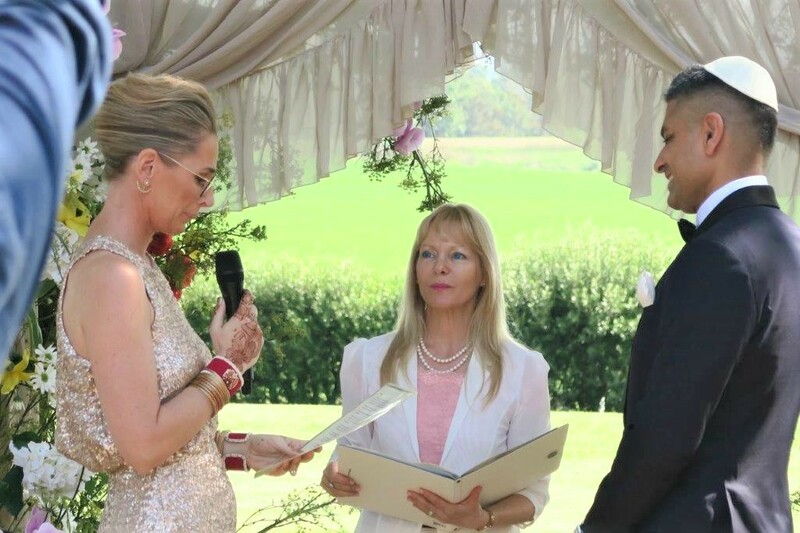 Any ritual such as Chinese tea ceremony, Balloon release (or Butterflies ), candles, sand ceremony, Doves release, Handfasting, Hand ceremony, Wine ritual, The Rose ritual and many more. Have your very special Wedding Ceremony for only $650. Interstate couples & Overseas Visitors. First, it can be very romantic to elope. Furthermore, no fuss, but still meaningful and special. Also, all legal cost covered. Easy to communicate via emails and phone. Consequently, your wedding ceremony any day/ any time. 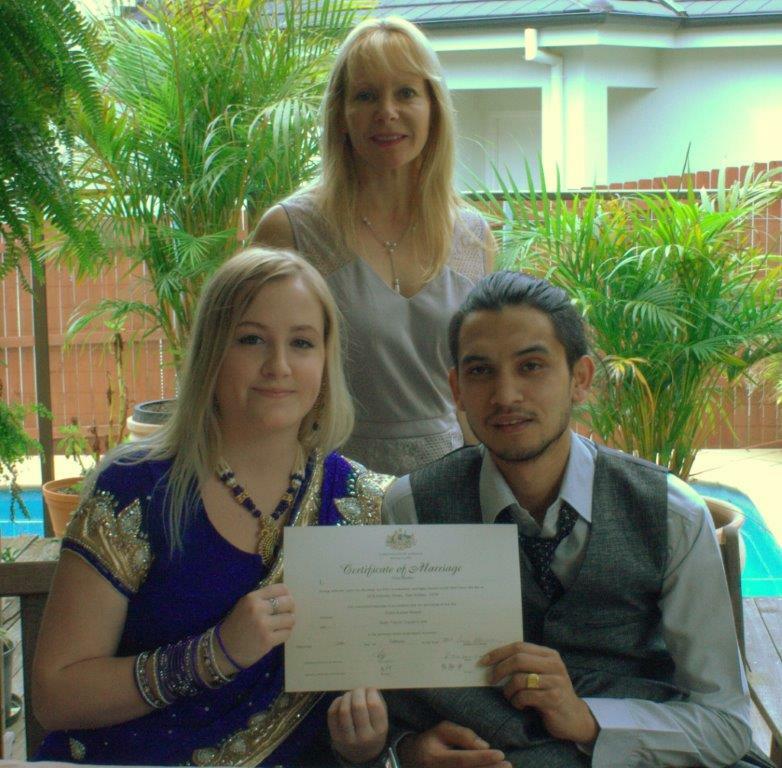 Finding a cheap marriage celebrant in Sydney does not mean having a cheap wedding ceremony. 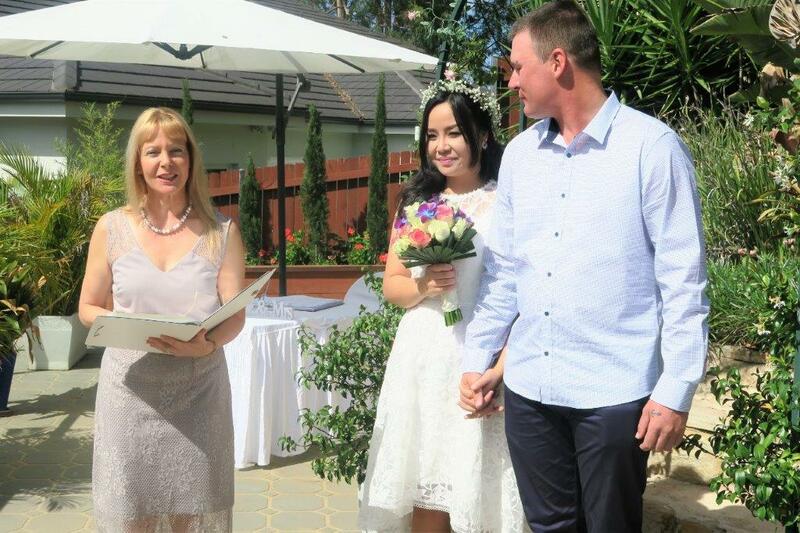 You can choose from the cheap wedding packages Sydney that best suits you. 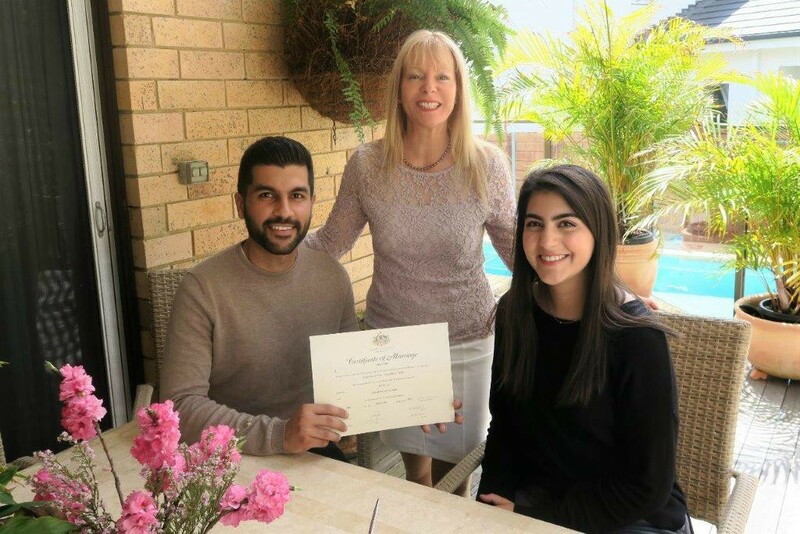 While looking for the cheapest wedding venue in Sydney you might want to have your wedding ceremony at the celebrant’s place. This of course while still having a beautiful, meaningful wedding ceremony delivered with sincerity. As well as all legal paperwork is included. 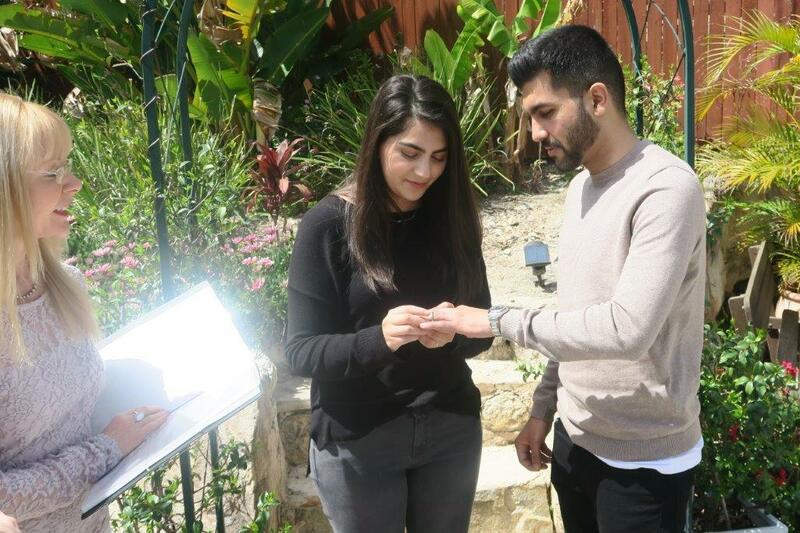 “So we had a small ceremony with a group of four at Orna’s place on our big day, as our main ceremony was to occur overseas. 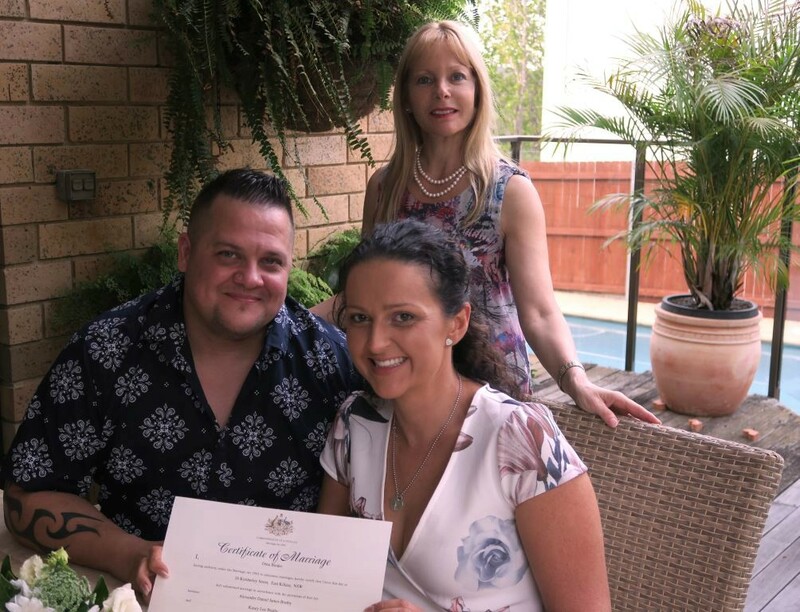 Even though we were looking for a small affordable wedding ceremony, at the cheapest wedding venue Sydney she made it a really memorable day. 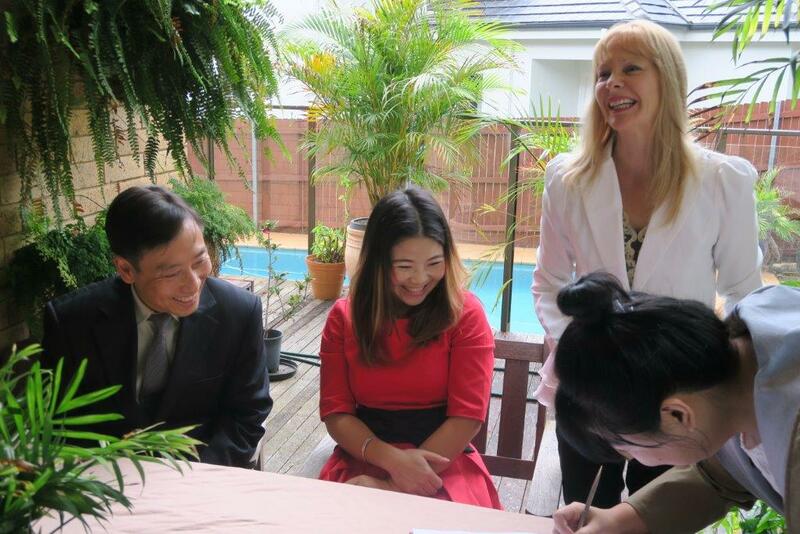 In addition, she also prepared a decorated table for the signing ceremony after the vows. Since it was raining that day, we exchanged our vows on the balcony overlooking the greenery of the national park. 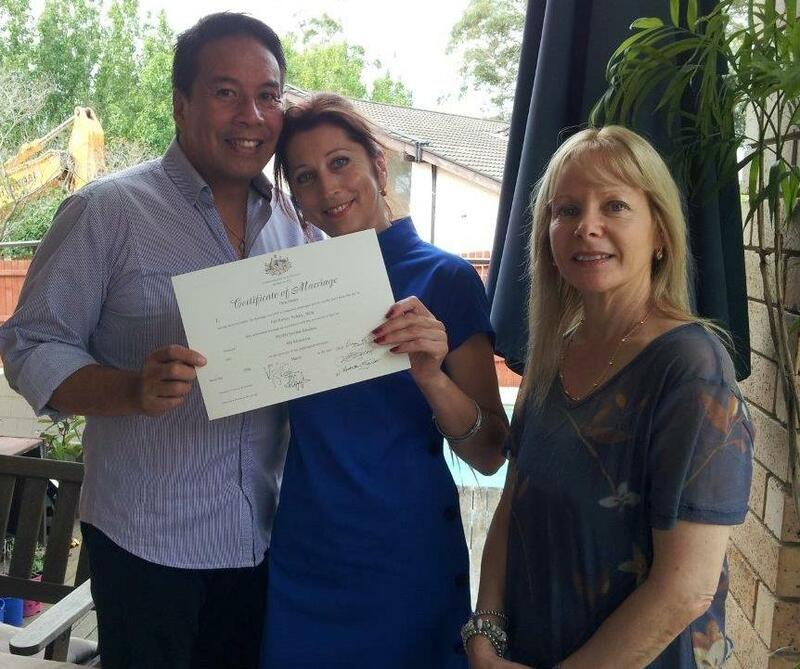 Finding a cheap marriage celebrant Sydney does not mean having a cheap wedding ceremony. 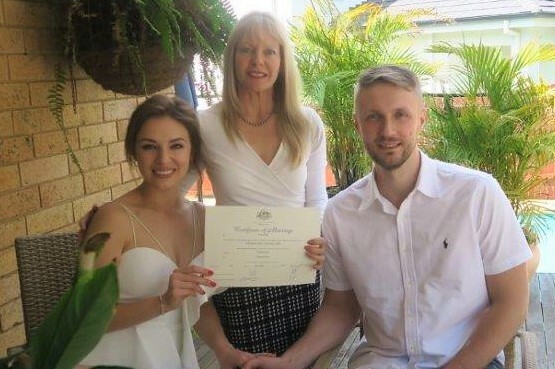 Cheap easy weddings and cheap wedding packages Sydney are possible now. 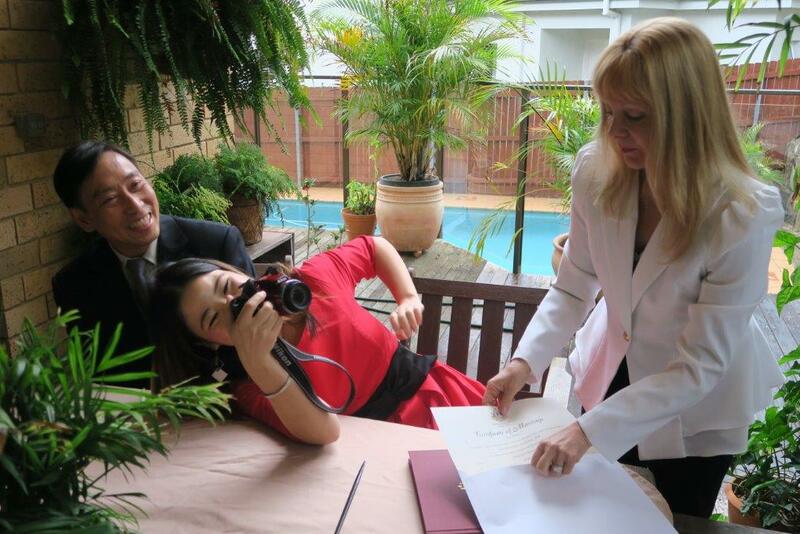 You can choose from the cheap wedding packages Sydney I offer. 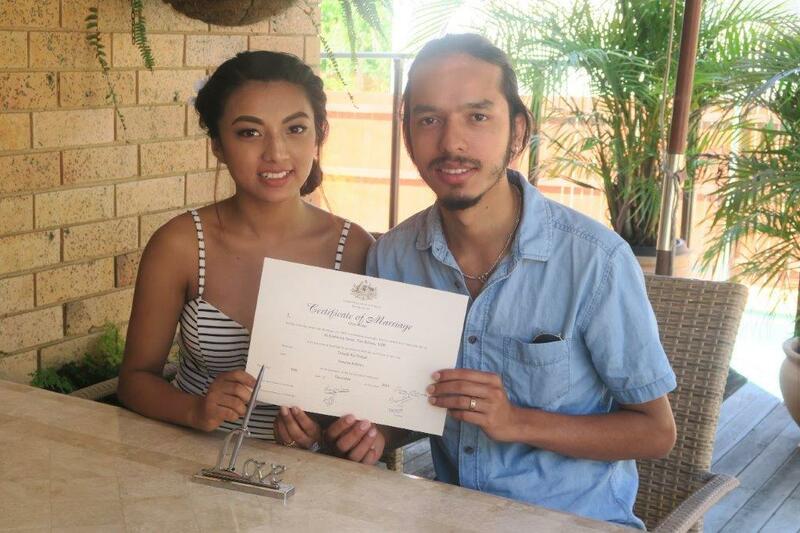 Therefore, cheap weddings Sydney are very much a real thing now. When looking for the cheapest wedding venue Sydney, you might want to take on my offer of a cheap wedding venue. Hence, have your wedding ceremony at my place, while still having a beautiful, meaningful wedding ceremony delivered with sincerity. 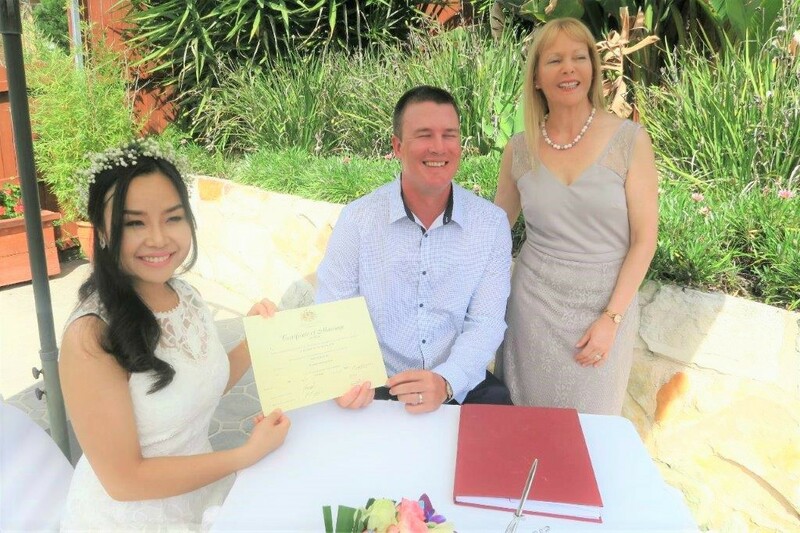 So if you are looking for a registry wedding in Sydney, this can be a suitable wedding option for you. 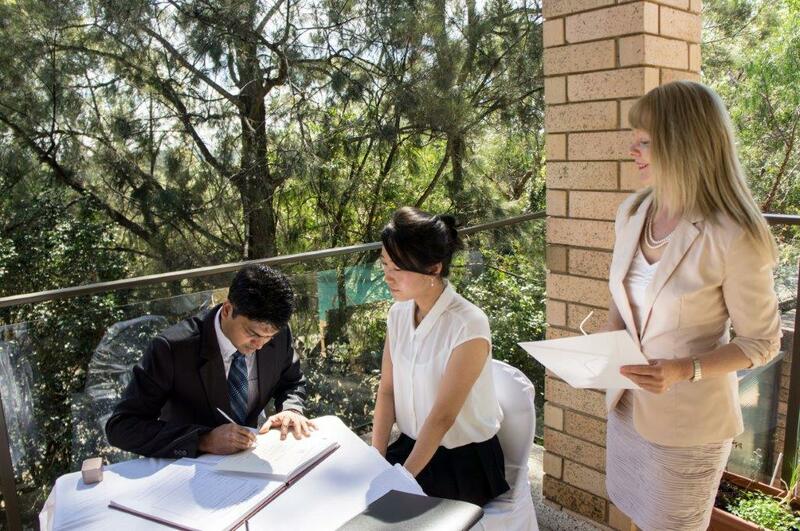 You will receive a marriage registry wedding including all the legal paperwork and a meaningful relaxed ceremony. My wedding registry is cheaper than at the office of the BDM registry. 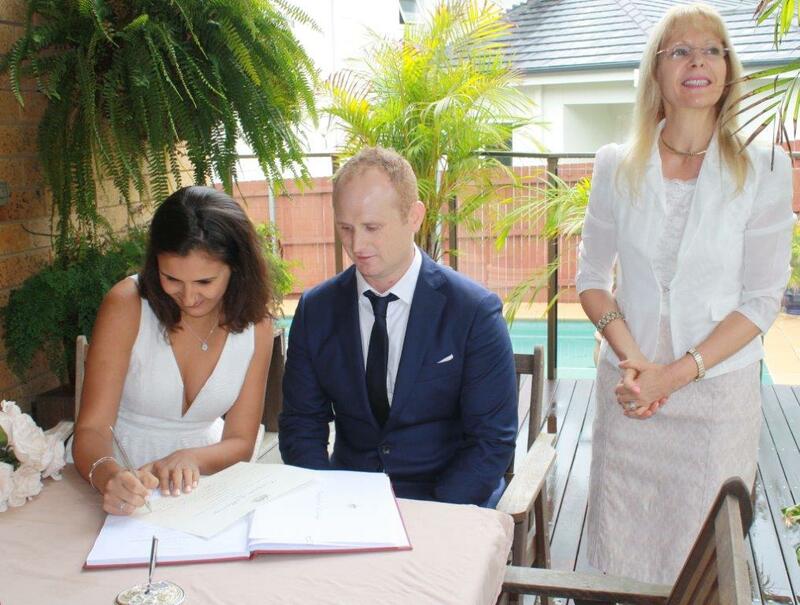 Wedding celebrant Sydney cost might vary, but the service is always a top wedding service. 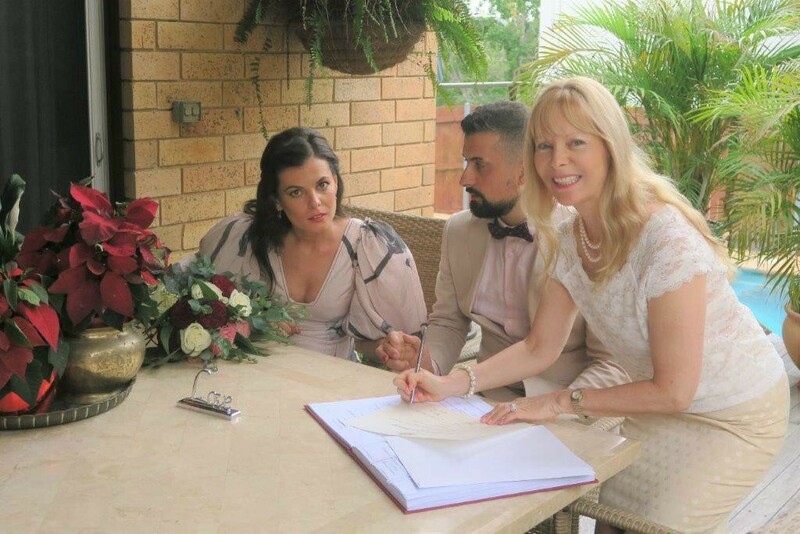 I offer Affordable Weddings, Sydney Affordable Marriage Celebrant. 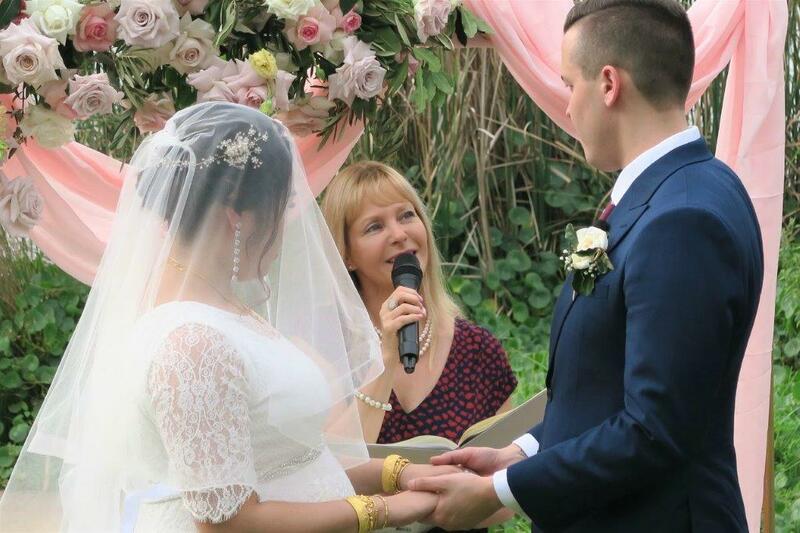 My marriage celebrant Sydney prices can suit each and every bride and groom. 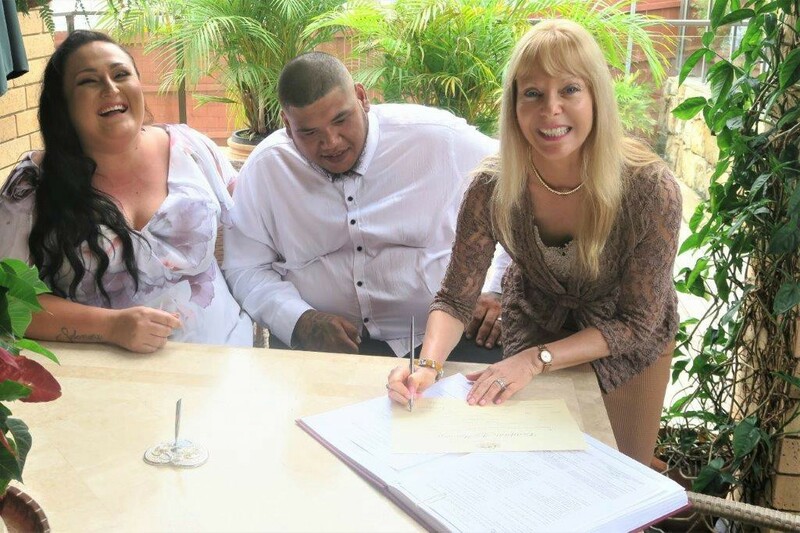 Either you can have a registry wedding with just you and your two witnesses. 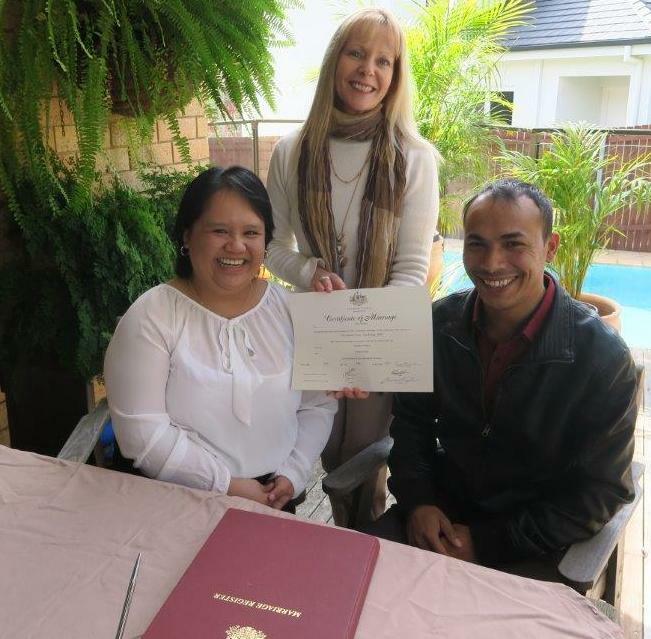 Or you might like to have some guests, family and friends attending your civil marriage. It is all going to be your choice. 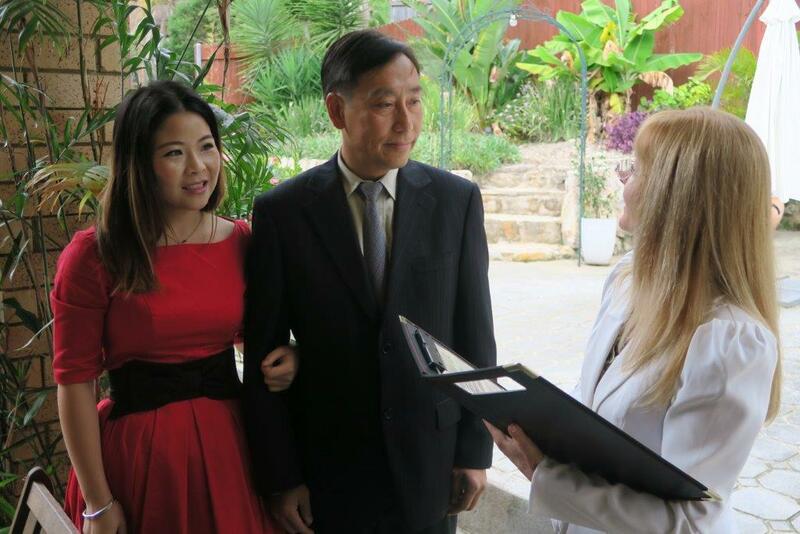 In other words, I offer simple ceremonies, registry weddings as well as full-on wedding ceremonies to suit all couples. Above all, you will get the best budget wedding registry in a FREE magnificent venue. Weddings at my place will be always a success regardless of the weather. As there is a big backyard as well as a great undercover balcony and high ceiling indoor area. 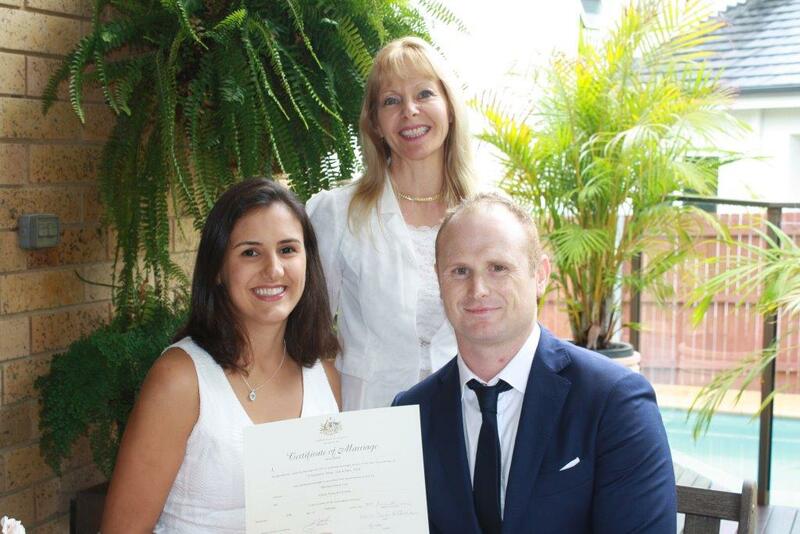 Contact me if you would like more information about my marriage celebrant services in Sydney. 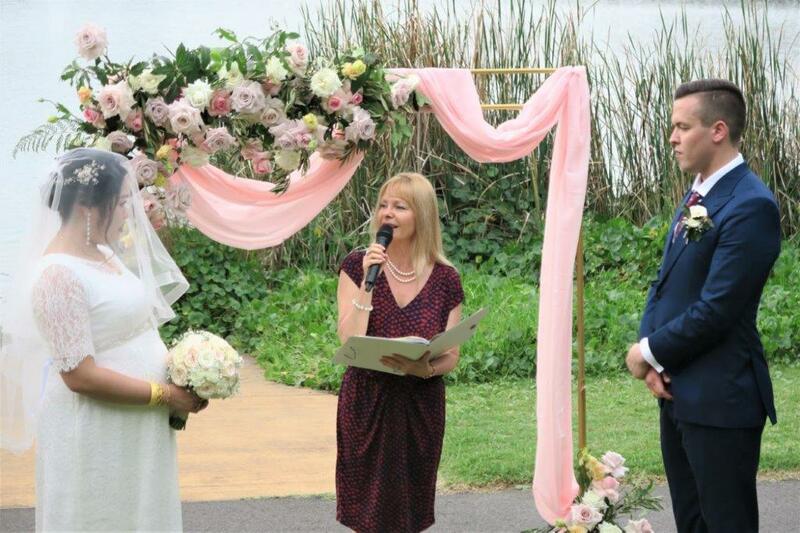 Information about my celebrant prices and costs for registry wedding or full civil marriage. Email me atobinder@optusnet.com.au or alternatively, you can contact me via my website.